With the Raptors 2 games up for the No. 1 seed in the East, and all but a lock for the playoffs, it’s time to start looking at who they could potentially matchup with throughout the playoffs. Most people agree that the Raptors will finish in one of the top 3 spots in the conference, with Boston and Cleveland occupying the other two. So, that means that their focus for the rest of the regular season should be to lock down the No. 1 seed, to ensure that they don’t play Boston or Cleveland until the Conference Finals, and play as many games at home as possible. Once the first round is over, I suspect that the final 4 teams in the Eastern Conference will be the Raptors, the Celtics, the Cavaliers, and the Wizards. If you’re the Raptors, you want to play Washington in the 2nd round, because that likely means that you’re the No. 1 seed and it also means that you don’t have to play Boston or the Cavs yet. A playoff series with the Wizards would be interesting, because there isn’t much to take from their regular season matchups so far this season. Yes, they’ve played 3 times, but John Wall hasn’t played in any of those games, Kyle Lowry was ejected early in the 1st game, and the 3rd game saw the Raptors bench unit have a rare off night, as they didn’t have Fred VanVleet with them. All this means is that I don’t know how these teams would fare against each other in a playoff series, with all of their pieces intact. I suspect that the Raptors would win it in a long series, maybe 6 or 7 games, but I’ll have to see these teams play each other again before I can mark my words on that one. If what I’ve predicted so far comes true, the Raptors will find themselves in the Eastern Conference Finals against either the Celtics or the Cavs. I won’t make a prediction on that on yet, because it really all depends on Lebron James. Is he healthy? Are him and the Cavs tired? Did they even get past Boston? All of these questions are yet to be answered, so you’ll have to wait before I make my bold prediction on the Eastern Conference champion. 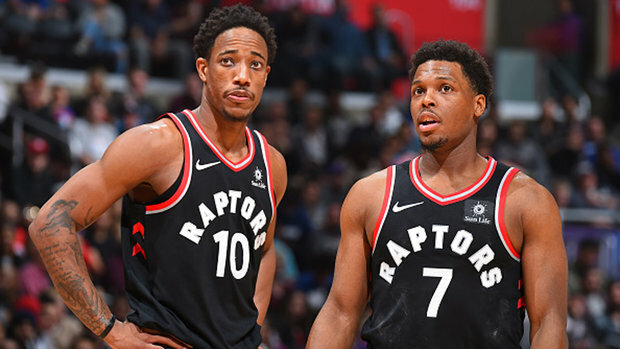 With the season approaching the home stretch, the Raptors and their fans can hope that their team will hold on to the No. 1 seed in the East that they currently hold. That will give them the best chance to go deep into the playoffs, if they can play the critical games at home, in front of the best fans in the NBA. Newer PostSOT6 Podcast - Episode 42 "We The First"